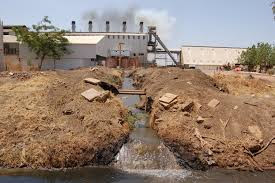 In a note it has sent to the Ministry of Environment, Forests and Climate Change, Ahmedabad-based environmental NGO Paryavaran Mitra has taken strong exception to the Environmental Impact Assessment (EIA) draft notification seeking to drop the provision for imprisoning the polluter. The NGO, in its note it has circulated to activists, has said that Section 15 of Environment (Protection) Act, 1986, not only provided cash penalty for violation of any provisions of legislation or any rules made or orders or directions issued under the Act, but also provided punishment of up to five years imprisonment for the first offence, or fine of Rs 1 lakh, or both. The Act further provided for “additional fine of Rs 5,000 for every day and an enhanced sentence of imprisonment for a term which may extend to seven years where violation continued beyond a period of one year after the date of conviction”, the NGO says. Suggesting that this would “dilute the powers of the National Green Tribunal and the judiciary, which are the only effective grievance redressal mechanisms for the affected peoples”, the NGO says, the draft notification also allows the MoEFCC to provide environmental clearance even as it is in the midst of preparing an ESP and agrees to implement the latter. Even then, the NGO says, the draft notification wants the ESP to be such that it provides for the remedies caused by ecological damage caused due to violation. However, it wonders why does not give any clarification on short term or long term damages incurred by a project, and how this should be evaluated.